Invisalign is the invisible way to straighten your teeth without braces. 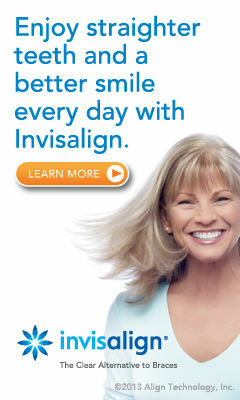 When discussing Invisalign, usually the first question asked is, "How much will it cost?" You may think Invisalign is too expensive, but in reality, Invisalign is comparable to the cost of traditional metal braces. Depending on your individual needs, only your doctor can determine the cost of Invisalign. Other factors may include your treatment goals, the difficulty of your case, how long you are in treatment, your orthodontic insurance coverage. Affordable payment options that fit your individual budget are also available. Your dental insurance may include orthodontic benefits, which can reduce or possibly eliminate your out-of-pocket costs. Even if your insurance doesn't cover orthodontics, you may be able to finance your Invisalign treatment. Ideal Smiles Family & Cosmetic Dentistry will work with you to determine what financial options will work best for your situation.